1 MILLION REVELLERS EXPECTED AT NEW YORKS TIMES SQUARE TONIGHT TO RING IN 2015. NEW YORK -- The giant glittering Waterford crystal ball was tested Tuesday ahead of the New Year's Eve celebration in Times Square, where up to a million revelers are expected to ring in 2015.Workers coiled massive cables as the 5,386-kilogram ball went up and down the flagpole atop 1 Times Square. "It was such a difficult 2014, we're going to have a great celebration to ring in the new year," said Jeffrey Straus, president of the Times Square Alliance, which runs the event. "This is our opportunity to come together to celebrate the future. "Ryan Seacrest will host the countdown show, with Taylor Swift, Idina Menzel, Florida Georgia Line and Magic! among the musical guests. When the clock strikes midnight and the ball drops, so will 1 ton of confetti -- scraps of paper with well wishes for the upcoming year.The ball drop idea is being modeled around the U.S. -- Las Cruces, New Mexico, is holding a chile drop for the first time. Atlanta and Nashville, Tennessee, are hosting peach and music note drops.In Boston, the mayor and police commissioner urged activists to hold off on a planned "die-in" protesting police violence during the city's annual festivities. Mayor Martin Walsh and Police Commissioner William Evans suggested the family friendly First Night event is not the proper venue to address recent police killings of unarmed black men and boys in the U.S.No protests are planned so far in New York, where the police department is still mourning two officers shot to death in a patrol car on Dec. 20. But security will still be tight.Each year, the New York Police Department assigns thousands of extra patrol officers to the festivities to control the crowd and watch for any signs of trouble. Visitors will see heavily armed counterterrorism teams and bomb-sniffing dogs. Rooftop patrols and NYPD helicopters will keep an eye on the crowd, and plainclothes officers will blend in with revelers.The bomb squad and a unit specializing in chemical and biological threats will sweep hotels, theatres, construction sites and parking garages. They also will patrol the Times Square subway station and certain exits will be blocked off. The NYPD will rely on a network of thousands of closed-circuit security cameras blanketing lower Manhattan, parts of midtown Manhattan and the subway system.After the show, sanitation crews will get to work cleaning up from the celebration, working through the night to rid the area of an estimated 50 tons of garbage including confetti, party hats and other leftovers from the revelry. Temperatures are expected to be well below freezing, and revelers are encouraged to dress warmly and in layers. Eager merrymakers often arrive hours early to get a good spot to view the show -- but that means staying put behind metal police pens. There are no bathrooms and once people leave, they can't come back to their spot. Police check backpacks. No alcohol is allowed. Reddit small type from indonesia-4:10PM-A vigil has been held in the Indonesian city of Surabaya for the victims of the AirAsia Flight QZ8501 crash. Hundreds of residents and relatives of those on board lit candles and observed a minute's silence for the victims. Flight QZ8501, carrying 162 people from Surabaya to Singapore, disappeared on Sunday. PANGKALAN BUN/SURABAYA, Indonesia (Reuters) - A break in bad weather on Thursday raised hopes that divers would be able to investigate what is believed to be the sunken wreck of an AirAsia jet off Borneo and retrieve the plane's black box that should explain the cause of the crash.The Airbus A320-200, carrying 162 people, fell from the sky while trying to climb above stormy weather early on Sunday, during a flight from the Indonesian city of Surabaya to Singapore. The pilots did not issue a distress signal.So far, at least eight bodies have been recovered from waters near where sonar has detected a large, dark object on the ocean floor, lying just 30-50 meters (100-165 feet) deep. But so far rough seas have prevented divers from investigating it. "They will try again this morning," said Siahala Alamsyah, a naval officer involved in the search. He said that on Wednesday night, bad weather had prevented a team of 47 Indonesian Navy divers from even flying out to warships at the crash site.However, the skies over Pangkalan Bun air base near the site cleared on Thursday morning and the seas calmed, raising hopes that the search effort could be stepped up.The plane's black box flight data and cockpit voice recorder should help solve the mystery of the crash. Investigators are working on a theory that it went into aerodynamic stall as the pilot climbed steeply to avoid a storm.Bodies recovered from the Java Sea are being taken in numbered coffins to Surabaya, where relatives of the victims have gathered, for identification. Authorities have been collecting DNA from the relatives to help identify the bodies.Some of the bodies recovered so far have been fully clothed, including a flight attendant still wearing her AirAsia uniform. That could indicate the Airbus was intact when it hit the water and also support the aerodynamic stall theory.Most of the 162 people on board were Indonesians. No survivors have been found. Strong wind and waves hampered the search, and with visibility at less than a kilometer (half a mile), the air operation was called off on Wednesday afternoon.Speaking on Wednesday evening, Fransiskus Bambang Soelistyo, the head of the search and rescue agency, said the weather was "challenging in the field, with waves up to 5 meters high, wind reaching 40 km per hour (and) heavy rain, especially in the search area. "Indonesian President Joko Widodo said his priority was retrieving the bodies.Relatives, many of whom collapsed in grief when they saw the first grim television pictures confirming their fears on Tuesday, held prayers at a crisis center at Surabaya airport. 4 MORE BODIES HAS BEEN DISCOVERED IN THE JAVA SEA.BRINING THE TOTAL FOUND AT 10.AND AS OF 7:30AM DEC 31,14.IT STILL HAS NOT BEEN CONFIRMED BY TONY FERNANDES THAT THE SONAR DID FIND THE MISSING PLANE IN THE JAVA SEA YET.ITS NOW 12:15PM AND ITS STILL NOT CONFIRMED THAT THEY HAVE FOUND THE PLACE BY SONAR WERE THE PLANE LIES IN THE JAVA SEA.THIS IS TURNING INTO ANOTHER MH 370 AND MALAYSIAN THROWING ALL KINDS OF STUFF AT THE MEDIA.THEN ITS FALSE LEADS OR JUST COMPL ETELY MADE UP. SO NOW WE GOTTA PAY CLOSE ATTENTION TO ANYTHING INDONESIA SAYS.IN CASE THEY ARE TURNING THIS INTO A WILD GOOSE CHACE LIKE THE MALAYSIAN PRIME MINISTER DID WITH THE MH370 SITUATION.IN FACT THE MH370 SITUATION AFTER 10 MONTHS IS STILL NOT COMPLETE.reddit updates in small type from indonesia.3 more #QZ8501 bodies recovered from seas off coast of Kalimantan, bringing total to at least 10, Malaysia Naval Chief.There's a miscommunication. The number of bodies recovered is 6 not 7.Victim's relatives who stayed in Hotel Halogen got 'kicked out', their bags are taken out of their room. Air Asia said that there is a miscommunication problem and that they will quickly look for a new hotel for them.OH NO NOW THE VICTIMS FAMILIES ARE GETTING BOOTED FROM THEIR HOTEL ROOMS.THE SAME THING THAT HAPPENED TO THE MH370 FAMILIES. THIS IS TURNING INTO ANOTHER MH370 ALL OVER AGAIN.SO SAD FOR THE FAMILY MEMBERS OF THE INNOCENT VICTIMS OF THE PLANE CRASH.2 more vessels to assist in #QZ801 search, says Defence Minister.Day 4 of #QZ8501 search focused on 4 sectors of 28x56 nautical miles: Malaysia @ChiefofNavy. 7 BODIES HAVE BEEN RECOVERED.AND ITS 6:20PM IN INDONESIA AND THE WEATHER IS TO BAD TO GO TO THE PLANE SITE AND START RECOVERING BODIES.THERE SAYING THE PLANE MIGHT BE UPSIDE DOWN ON THE BOTTOM OF THE JAVA SEA.AND THEIR SAYING-BECAUSE THERES ONLY BEEN 7 BODIES RECOVERED FROM THE QZ 8501-A320-200.THIS PROBABLY MEANS THAT MOST OF THE PEOPLE ARE STILL TRAPPED INTO THEIR SEATS JUST LIKE I HAD A FEELING WITH MY PREDICTION ALSO IN D-3A OF MY SCINERIO OF HOW I THINK THE QZ 8501 CAME DOWN. PANGKALAN BUN/SURABAYA, Indonesia (Reuters) - The first two bodies from the AirAsia plane that crashed off the coast of Borneo arrived on Wednesday in the Indonesian city of Surabaya, where relatives have gathered to await news of their loved ones.Rescuers believe they have found the plane on the sea floor off Borneo, after sonar detected a large, dark object beneath waters near where debris and bodies were found on the surface.Ships and planes had been scouring the Java Sea for Flight QZ8501 since Sunday, when it lost contact during bad weather about 40 minutes into its flight from Surabaya to Singapore.Seven bodies have been recovered from the sea, some fully clothed, which could indicate the Airbus A320-200 was intact when it hit the water. That would support a theory that it suffered an aerodynamic stall.Tatang Zaenudin, an official with Indonesia's search and rescue agency, said earlier that one of the bodies had been found wearing a life jacket.But he later said no victim had been recovered with a life jacket on. "We found a body at 8.20 a.m. and a life jacket at 10.32 a.m. so there was a time difference. This is the latest information we have," he told Reuters.Two bodies, in coffins bedecked with flowers and marked 001 and 002, arrived by an air force plane in Surabaya.Most of the 162 people on board were Indonesians. No survivors have been found. Hernanto, of the search and rescue agency in Surabaya, said rescuers believed they had found the plane on the sea bed with a sonar scan in water 30-50 meters (100-165 feet) deep.The black box flight data and cockpit voice recorder have yet to be found.Authorities in Surabaya were making preparations to receive and identify bodies, including arranging 130 ambulances to take victims to a police hospital and collecting DNA from relatives. "We are praying it is the plane so the evacuation can be done quickly," Hernanto said.Strong wind and waves hampered the search and with visibility at less than a kilometer (half a mile), the air operation was called off in the afternoon. "The weather today was really challenging in the field, with waves up to 5 meters high, wind reaching 40 km per hour (and) heavy rain, especially in the search area," Fransiskus Bambang Soelistyo, the head of the search and rescue agency, told reporters in Surabaya.He added that the plane's whereabouts had not yet been confirmed and so the search for it would continue. Indonesian President Joko Widodo said his priority was retrieving the bodies.Relatives, many of whom collapsed in grief when they saw the first grim television pictures confirming their fears on Tuesday, held prayers at a crisis center at Surabaya airport. SURABAYA, Indonesia (AP) — With no sign of the missing AirAsia jetliner, dozens of ships and planes on Tuesday joined a widening international effort now covering huge swaths of Indonesian sea and land. A device that can detect underwater signals from the aircraft's black boxes was also on its way, more than two days after Flight 8501 vanished from radar.The United States announced it was sending the USS Sampson destroyer, joining at least 30 ships, 15 aircraft and seven helicopters in the search for the jet carrying 162 people, said Indonesia's Search and Rescue Agency chief Henry Bambang Soelistyo.A Chinese frigate was also on the way, while Singapore said it was sending two underwater beacon detectors to try to detect pings from the plane's all-important cockpit voice and flight data recorders. Malaysia, Australia and Thailand also are involved in the search.The plane vanished Sunday halfway into what should have been a two-hour hop from Surabaya, Indonesia, to Singapore. Officials saw little reason to believe the flight met anything but a grim fate.Based on the plane's last known coordinates, the aircraft probably crashed into the water and "is at the bottom of the sea," Soelistyo said Monday.It is believed to have crashed into Indonesia's Java Sea, a busy shipping lane where water on average is only 45 meters (150 feet) deep, but broad aerial surveys so far have turned up no firm evidence of the missing Airbus A320-200.On Monday, searchers made various sightings they thought might be related to the plane, but by Tuesday all had been dismissed.Soelistyo said an Indonesian navy ship reached the spot where a military craft reported two oil patches in the Java Sea east of Belitung island. It was not jet fuel, or even oil, but coral. "They were just shadows of two wide shapes of coral clusters that when seen from the air looked like oil spills," he said.The search has expanded to include not only the sea but nearby land. As the sun rose Tuesday over Pangkalan Bun on the western part of Kalimantan, two Indonesian helicopters flew over the island looking for any sign of wreckage. Two other copters were hundreds of kilometers east over the smaller islands of Bangka and Belitung. "Until now, we have not yet found any signal or indication of the plane's whereabouts," Soelistyo told The Associated Press, adding that fishermen from Belitung island were also helping.The AirAsia pilots had been worried about the weather on Sunday and had sought permission to climb above threatening clouds, but were denied due to heavy air traffic. Minutes later, the jet was gone from the radar without issuing a distress signal.Pilots rely on sophisticated weather-radar systems that include a dashboard display of storms and clouds, as well as reports from other crews, to steer around dangerous weather, and it's unlikely that alone would cause the plane to crash. "A lot more information is available to pilots in the cockpit about weather" than ever, said Deborah Hersman, former chairman of the U.S. National Transportation Safety Board. But the technology has limits and sometimes information about storms "can be a little bit stale. "The suspected crash caps an astonishingly tragic year for air travel in Southeast Asia, and Malaysia in particular. Malaysia-based AirAsia's loss comes on top of the mystery surround Malaysia Airlines Flight 370 in March with 239 people aboard, and the downing of Malaysia Airlines Flight 17 in July over Ukraine, which killed all 298 passengers and crew.Nearly all the passengers and crew are Indonesians, who are frequent visitors to Singapore, particularly on holidays.Ruth Natalia Puspitasari, who would have turned 26 on Monday, was among them. Her father, Suyanto, sat with his wife, who was puffy-eyed and coughing, near the family crisis center at Surabaya's airport. "I don't want to experience the same thing with what happened with Malaysia Airlines," he said as his wife wept. "It could be a long suffering. "Few believe this search will be as perplexing as the ongoing one for Flight 370, which remains a mystery. Authorities suspect the plane was deliberately diverted by someone on board and ultimately lost in a remote area of the Indian Ocean that's thousands of feet deep. Flight 8501 vanished over a heavily traveled sea that is relatively shallow, with no sign of foul play.The captain, Iryanto, who like many Indonesians uses a single name, had more than 20,000 flying hours, AirAsia said.People who knew Iryanto recalled that he was an experienced military pilot, flying F-16 fighters before shifting to commercial aviation. His French co-pilot, Remi Plesel, had been in Indonesia three years and loved to fly, his sister, Renee, told France's RTL radio. "He told me that things were going well, that he'd had a good Christmas. He was happy. The rains were starting," she said. "The weather was bad. "___McDowell reported from Jakarta. Associated Press writers Ali Kotarumalos, Niniek Karmini and Margie Mason in Jakarta, Chris Brummitt in Singapore, Joan Lowy in Austin, Texas, Scott Mayerowitz in New York, David Koenig in Dallas and Lori Hinnant in Paris contributed to this report. PANGKALAN BUN/SURABAYA, Indonesia (Reuters) - A body recovered on Wednesday from the crashed AirAsia plane was wearing a life jacket, an Indonesian search and rescue official said, raising new questions about how the disaster unfolded.Rescuers believe they have found the plane on the ocean floor off Borneo, after sonar detected a large, dark object beneath waters near where debris and bodies were found on the surface.Ships and planes had been scouring the Java Sea for Flight QZ8501 since Sunday, when it lost contact during bad weather about 40 minutes into its flight from the Indonesian city of Surabaya to Singapore.Seven bodies have been recovered from the sea, some fully clothed, which could indicate the Airbus A320-200 was intact when it hit the water. That would support a theory that it suffered an aerodynamic stall.The fact that one person put on a life jacket suggests those on board had time before the aircraft hit the water, or before it sank.And yet the pilots did not issue a distress signal. The plane disappeared after it asked for permission to fly higher to avoid bad weather. "This morning, we recovered a total of four bodies and one of them was wearing a life jacket," Tatang Zaenudin, an official with the search and rescue agency, told Reuters.He declined to speculate on what the find might mean.A pilot who works for a Gulf carrier said the life jacket indicated the cause of the crash was not "catastrophic failure". Instead, the plane could have stalled and then come down, possibly because its instruments iced up and gave the pilots inaccurate readings. "There was time. It means the thing didn't just fall out of the sky," said the pilot, who declined to be identified.He said it could take a minute for a plane to come down from 30,000 feet and the pilots could have experienced "tunnel vision ... too overloaded" to send a distress call. "The first train of thought when you get into a situation like that is to fly the aircraft. "Most of those on board were Indonesians. No survivors have been found.Hernanto, head of the search and rescue agency in Surabaya, said rescuers believed they had found the plane on the sea bed with a sonar scan in water 30-50 meters (100-165 feet) deep. The black box flight data and cockpit voice recorder has yet to be found.Authorities in Surabaya were making preparations to receive and identify bodies, including arranging 130 ambulances to take victims to a police hospital and collecting DNA from relatives. "We are praying it is the plane so the evacuation can be done quickly," Hernanto said.Strong wind and waves hampered the search and with visibility at less than a kilometer (half a mile), the air operation was called off in the afternoon. "We are all standing by," Dwi Putranto, heading the air force search effort in Pangalan Bun on Borneo, told Reuters. "If we want to evacuate bodies from the water, it's too difficult. The waves are huge and it's raining. "Indonesian President Joko Widodo said his priority was retrieving the bodies.Relatives, many of whom collapsed in grief when they saw the first grim television pictures confirming their fears on Tuesday, held prayers at a crisis center at Surabaya airport.AirAsia Chief Executive Tony Fernandes has described the crash as his "worst nightmare". Reddit in small type-Indonesia's search and rescue agency Basarnas has found wreckage from AirAsia flight QZ8501 at the bottom of sea, according to CNN.Search and rescue official Hernato said sonar equipment detected the plane, but it was not clear whether it is in one piece or broken up, CNN reported.Another body recovered bring the total to seven bodies so far, reports Kompas TV.All 7 bodies are still intact. 4 male, 3 female, 1 child.BREAKING: 1 man among 7 bodies recovered was wearing a life jacket, says #QZ8501 search chief.Singapore's manpower ministry has confirmed that at least three of the passengers of AirAsia Flight 8501 were employed in Singapore.1am-I can confirm, the plane wreckage hasn't been found until now," says Indo search and rescue chief at a press conference.ONE FAMILY MEMBER TOLD CNN THAT HE AND ALL THE FAMILY MEMBERS WERE TOLD THE PLANE WAS DISCOVERED BY SONAR ON THE BOTTOM OF THE JAVA SEA. BREAKING: 2 bodies have arrived at #QZ8501 holding area in Pangkalan Bun.#AirAsia #QZ8501: About 90 divers are out there but rough seas preventing them from going in, says rescue mission coordinator.Strong waves have pushed bodies in the sea about 50 km east from yesterday, said officials.2:10am-The fuselage of QZ8501 seems to be upside-down on the ocean floor in 24m to 30m of water. : officials.3 bodies have been identified.Singapore has offered two more Navy vessels for use in the search and recovery of AirAsia flight QZ8501.Defence Minister Ng Eng Hen said on Wednesday that Singapore had offered to send a Mine Counter-Measure Vessel, which has underwater sonar and a remotely operated vehicle, and the Remus, which is an autonomous underwater vehicle. - Straits Times.2 bodies being flown to #Surabaya are a female and young male.The news on one of the local TV channel (Indosiar) said that the Philippine Consulate visited the Crisis Center today to confirm 2 passenger names. No explanation on what this means thought.4am-Due to bad weather, the evacuation rescue is stopped momentarily.4am-CNN just had footage of two coffins being led in a procession.Seems that the 2 bodies have finally arrived in Juanda International Airport (Watching MetroTV). Victim's relatives is going to be transported to the new Crisis Center (Hospital,its Bhayangkara Hospital ).Two Australian defence aircraft, sent to Indonesia to help in the AirAsia flight hunt, are returning home as the operation turns to a recovery mission.The two Orions left Darwin yesterday after the federal government offered assistance to Indonesian authorities. Indonesian authorities have advised the two Australian aircraft are no longer required, the Australian Defence Force (ADF) confirmed in a statement. "The ADF will continue to maintain two liaison officers at Indonesia's National Search and Rescue Agency (BASARNAS) and the Australian Defence Force stands ready to provide further assistance," the statement read. "Our thoughts and prayers are with the family and friends of the victims at this difficult time." A New Zealand Air Force P3 Orion had also been deployed to Indonesia to assist with the search, while the United States sent the warship USS Sampson.4:55am-JUST IN: Two bodies retrieved from #QZ8501 search area have arrived in Surabaya.None of the bodies were wearing life jackets: Indonesia official .5:43am-JUST IN: @AirAsia Group CEO @tonyfernandes confirms main wreckage of #QZ8501 has not been found NOW THERE SAYING THE PLANE HAS NOT BEEN FOUND.I GUESS THIS SONAR MUST HAVE SCANNED A OLD PLANE THAT CRASHED OR SOMETHING.WE ARE GETTING MIXED SIGNALS WITH THIS SONAR DISCOVERING THE PLANE ON THE BOTTOM OF THE JAVA SEA OR NOT.Crowded skies in Southeast Asia put pressure on pilots, air traffic control.CNN IS STILL REPORTING THE OBJECTS ON THE SEA BED FLOOR BELIEVED FROM FLIGHT QZ 8501-A320-200.EVEN THOUGH TONY FERNANDES THE OWNER OF AIRASIA SAYS THE PLANE HAS NOT BEEN DISCOVERED YET ON THE BOTTOM OF THE JAVA SEA. INDONESIA HAS FOUND WERE THE LOCATION OF THE PLANE IS ON THE BOTTOM OF THE JAVA SEA.AND REPORTS SAY IT MIGHT POSSIBLY BE UPSIDE DOWN.AND SO FAR 6 BODIES HAVE BEEN BROUGHT UP INCLUDING ONE WOMEN STEWARDESS. THE SONAR HAS SPOTTED THE PLANE ON THE BOTTOM OF THE JAVA SEA. Indonesian searchers using sonar equipment have located wreckage from AirAsia Flight QZ8501 at the bottom of the Java Sea, a search and rescue official told CNN on Wednesday. At the moment, they still don't know if it's in one piece or broken up, said the official, Hernato, who goes by one name. Divers, ships and aircraft began a new search Wednesday in the waters off Indonesia, a day after spotting the first signs of debris from AirAsia Flight QZ8501.The grim discovery of wreckage from the missing plane and several bodies dealt a heartbreaking blow to families whose loved ones were lost.Debris was found 100-200 kilometers (60-120 miles) from the aircraft's last known location over the Java Sea, Indonesia's search and rescue agency said.Six bodies -- three men and three women -- have been recovered so far, Indonesian search and rescue chief Bambang Soelistyo said Wednesday. One of the females found was wearing a flight attendant's uniform, Soelistyo said.Now search teams are homing in on the area near where the debris was found, looking for bodies and parts of the plane, including its so-called black boxes. Those could help investigators determine what went wrong on the flight, which lost contact with air traffic controllers on Sunday with 162 people aboard.Sonar equipment is searching the bottom of the sea, 40 to 50 meters (131 to 164 feet) below the water's surface, according to SB Supriyadi, the search agency's director of operations.Dozens of ambulances were lined up in the Indonesian city of Surabaya, ready to carry any bodies recovered.The search isn't easy; heavy winds and cloudy weather could affect visibility and make scanning the water more difficult.On Tuesday, searchers spotted a shadow that looked like the plane's "skeleton," Supriyadi said, but strong currents have so far stopped their efforts to locate it again on Wednesday.As families watched a live news conference Tuesday about the discovery of the debris and saw video of a helicopter lowering a diver to what appeared to be a floating body, some people fainted. Stretchers were brought into the room.Family members burst into tears, dabbing their eyes as officials passed out tissues. Some sat with their eyes full of tears, hands covering their mouths or heads buried in their hands. Others had phones jammed against their ears. "Everyone became hysterical, especially the mothers. One mother even blacked out," said Maria Endang Wirasmi, whose daughter, son-in-law and two grand children were on the flight.Her husband, Imam Sampurno, said he was relieved the plane had been found." We hope that our children will be saved by a miracle," he said.AirAsia CEO Tony Fernandes told reporters he hoped there was "at least some closure" for families. "My heart is filled with sadness for all the families involved in QZ 8501," he tweeted. "On behalf of AirAsia my condolences to all. Words cannot express how sorry I am." Soelistyo, the head of Indonesia's search and rescue agency, said the debris was discovered when a crew on a military aircraft spotted the shadow of an object that looked like a plane in the water off the coast of Indonesia's Central Kalimantan province on Borneo.Further searching found floating objects believed to be the bodies of passengers, and then what appeared to be an emergency exit of the plane. Officials sent other search teams racing to the area.Several nations are contributing resources to the effort, including the United States. The U.S. Navy destroyer USS Sampson arrived Tuesday.The USS Fort Worth is also being prepared to deploy from Singapore, Pentagon spokesman Rear Adm. John Kirby said. It "can be ready to sail in a day or two to get on station and can be there very quickly," he said.The United States is also preparing maritime patrol aircraft that could help, he said.The flight, which was lost Sunday on its way to Singapore, was carrying 155 passengers and seven crew members. The overwhelming majority were Indonesians. 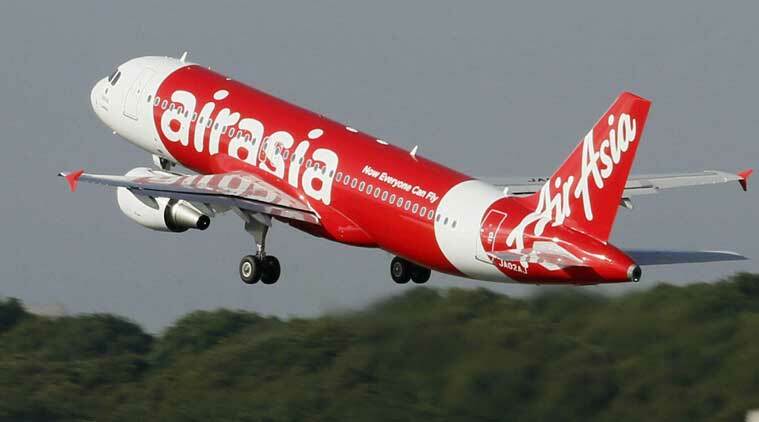 There were also citizens of Britain, France, Malaysia, Singapore and South Korea.Search and rescue teams are diverting all their resources to where the debris is, in the Karimata Strait, about 110 nautical miles southwest of the Indonesian city of Pangkalan Bun, AirAsia said. Fernandes said the focus for now must remain on the recovery effort, and no sweeping changes were planned for the airline, which has 1,000 flights a day. "But rest assured," he said, that once the investigation is done, if "there are things we need to change, that we will change it. "The Airbus A320-200 lost contact with air traffic control early Sunday shortly after the pilot requested permission to turn and climb to a higher altitude because of bad weather, according to Indonesian officials.Authorities mounted a huge effort to find the aircraft, mapping out a search zone covering 156,000 square kilometers.Questions remain about why Flight 8501 lost contact with air traffic control and what happened afterward.Some experts have said the aircraft might have experienced an aerodynamic stall because of a lack of speed or from flying at too sharp an angle to get enough lift.Analysts have also suggested the pilots might not have been getting information from onboard systems about the plane's position or that rain or hail from thunderstorms in the area could have damaged the engines.The key to understanding what happened is likely to be contained in the aircraft's flight recorders. "Until we get the black boxes, we won't know what's going on with the engines," said Bill Savage, a former pilot with 30 years of experience. SURABAYA, Indonesia/JAKARTA (Reuters) - Ships and planes resumed the search for wreckage, bodies and black boxes of a doomed AirAsia plane on Wednesday after Indonesian rescuers found several bodies and debris floating in shallow waters off the coast of Borneo.However, 2-3 meters (6-9 ft) waves and winds prevented divers from searching the crash zone for the sunken remains of Flight QZ8501, which had 162 people on board when it vanished on Sunday about 40 minutes into its flight from the Indonesian city of Surabaya to Singapore.Aviation experts believe that, weather permitting, the fuselage may be easily found by divers as the aircraft probably only broke up when it hit the water.Searchers found three bodies on Wednesday morning, including a flight attendant still wearing her AirAsia uniform, bringing the total to six so far, said the head of the search and rescue agency, Fransiskus Bambang Soelistyo.Fully clothed bodies could also indicate the plane was intact when it hit the water and support a theory that the Airbus A320-200 suffered an aerodynamic stall and plunged into the sea. "The fact that the debris appears fairly contained suggests the aircraft broke up when it hit the water, rather than in the air," said Neil Hansford, a former pilot and chairman of consultancy firm Strategic Aviation Solutions.Indonesia AirAsia Flight QZ8501 lost contact with air traffic control early on Sunday during bad weather. The plane was carrying mostly Indonesians. No survivors have been found.Indonesian President Joko Widodo said his priority was getting bodies off the bottom of the Karimata Strait in the Java Sea, where rescuers retrieved a plane door and other debris on Tuesday, so victims could be identified. "I feel a deep loss over this disaster and pray for the families to be given fortitude and strength," Widodo said in Surabaya on Tuesday after grim images of the scene in the Java Sea were broadcast on television.AirAsia Chief Executive Tony Fernandes has described the crash as his "worst nightmare".Widodo said AirAsia would pay an immediate advance of money to relatives, many of whom collapsed in grief when they saw the television pictures of debris and a body.The United States said its destroyer USS Sampson and combat ship USS Fort Worth were awaiting instructions from the Indonesian search command on the recovery operation. Singapore said it was sending two underwater beacon detectors to try to pick up pings from the black boxes, which contain cockpit voice and flight data recorders.About 30 ships and 21 aircraft from Indonesia, Australia, Malaysia, Singapore, South Korea and the United States have been involved in the search. QZ8501 tragedy rekindles pain for MH370 relatives-BEIJING: Tearful relatives of those on board missing Malaysia Airlines flight 370 said Tuesday their torment has been awakened anew by the AirAsia loss in Indonesia, nine months into their nightmare. "It is just like what happened nine months ago when I heard the news of MH370," said Steven Wang, whose 57-year-old mother was on the flight which remains one of the biggest aviation mysteries ever. "I can feel the desperation that the next-of-kin are suffering now. It is terrible. It is horrible," he said.Wang emerged as one of the most vociferous campaigners for answers on how MH370 went missing on March 8, one hour into a flight from Kuala Lumpur to Beijing.An unofficial leader of hundreds of Chinese relatives who packed into often rowdy meetings with airline officials in the weeks after the disappearance, Wang was a sombre shadow of his former self after months of anguish. "Most of the time now we are asking for information, but they say they have nothing," he said, with a dejected, weary tone.Two-thirds of the 239 people on board the missing Boeing 777 are Chinese citizens.A vast multi-national search has failed to find any sign of wreckage of MH370.On Tuesday authorities looking for AirAsia flight QZ8501 -- also owned by a Malaysian airline -- said they had found bodies, the shadow of a plane and debris in the sea off Indonesia.Selamat Omar, whose son Mohamad Khairul Amri Selamat was on MH370, said the news on AirAsia would provide some solace to victims' families. "It looks like there could be no survivors after the QZ8501 crashed into the sea. I praise the Indonesian authorities and neighbouring countries for finding the plane in less than 50 hours after the plane vanished," he said. "Now the victims' families can console themselves and give the victims a proper burial. The families can now have a closure and have a peace of mind which I am dying for. "For other families of MH370, coping with their personal nightmare has filled the days since the plane vanished. "Our entire life is a mess now," said Xu Jinghong, whose 65-year-old mother Liu Fengying was one of 153 Chinese passengers who failed to return home. "I lost 10 kilogrammes (22 pounds) in weight, I couldn’t sleep well and don’t dare to see photos of my mother or think about her," she added, her voice cracking with emotion. ARAB MURDERERS FAIL TO FORCE ISRAEL TO DIVIDE JERUSALEM IN THEIR FAVOR AT THIS POINT IN HISTORY. The Middle East Adviser for the Permanent Mission of Israel to the United Nations (UN), Israel Nitzan, told the Palestinian Authority (PA) on Tuesday night that statehood cannot be achieved using provocations.Nitzan made a statement to the Security Council shortly after it rejected the PA’s resolution which would have set a deadline for Israel to withdraw from lands the PA considers to be “occupied territory”.“The Palestinians have found every possible opportunity to avoid direct negotiations. They have engaged in a never-ending string of political games and now they are parading into this Council with preposterous unilateral proposals,” he said.“I have news for the Palestinians - you cannot agitate and provoke your way to a state,” continued Nitzan.“I urge the Council to stop indulging the Palestinians and put an end to their march of folly,” he concluded.The unilateral resolution failed to pass the Security Council after only eight countries voted in favor of the resolution, one short of the nine required to pass it. Two countries voted against, and there were five abstentions.France, China and Russia were among the countries that supported the text. Australia and the United States voted against.The resolution failed to pass despite earlier claims by the PA that it had the necessary nine-vote majority to enable it to pass the resolution calling for recognition of a "Palestinian state" as well as an Israeli withdrawal from Judea, Samaria and eastern Jerusalem by the end of 2017.Had the resolution passed, it would have forced the United States - which has stated its firm opposition to such unilateral measures - to use its veto at the Security Council, potentially causing tensions with some of America's Arab allies in the UN.As recently as Monday, PA foreign minister Riyad Al-Maliki had indicated that the vote would be postponed until after the new year, after the vote was put off last Friday and again on Monday. Analysts believed the PA would be better off to wait until after January 1, when the make-up of the Security Council will change and more countries with pro-PA stances become members. The United Nations (UN) Security Council failed on Tuesday night to adopt a resolution on Palestinian statehood, AFP reports.Only eight countries voted in favor of the resolution, two voted against, and there were five abstentions. The resolution needed nine votes in its favor to have passed.France, China and Russia were among the countries that supported the text setting a 12-month deadline for negotiations on a final peace deal with Israel, reported AFP.Australia and the United States voted against.The resolution failed to pass despite earlier claims by the Palestinian Authority (PA) that it had the necessary nine-vote majority to enable it to pass the resolution calling for recognition of a "Palestinian state" as well as an Israeli withdrawal from Judea, Samaria and eastern Jerusalem by the end of 2017.Had the resolution passed, it would have forced the United States - which has stated its firm opposition to such unilateral measures - to use its veto at the Security Council, potentially causing tensions with some of America's Arab allies in the UN.As recently as Monday, PA foreign minister Riyad Al-Maliki had indicated that the vote would be postponed until after the new year, after the vote was put off last Friday and again on Monday. Analysts believed the PA would be better off to wait until after January 1, when the make-up of the Security Council will change and more countries with pro-PA stances become members.The United States reiterated on Monday that it does not support the unilateral draft resolution, with State Department spokesman Jeff Rathke saying Washington believes the resolution would not advance the goal of peace or address Israel's security needs. "We don't think this resolution is constructive," Rathke told reporters. "We think it sets arbitrary deadlines for reaching a peace agreement and for Israel's withdrawal from the West Bank, and those are more likely to curtail useful negotiations than to bring them to a successful conclusion.”He continued, "Further, we think that the resolution fails to account for Israel's legitimate security needs, and the satisfaction of those needs, of course, integral to a sustainable settlement." The Palestinian Authority is claiming it has the necessary nine-vote majority to enable it to pass a resolution through the UN Security Council calling for recognition of a "Palestinian state" as well as an Israeli withdrawal from Judea, Samaria and "East Jerusalem".The vote is due to take place tonight (Tuesday) at 10 p.m. GMT, after the PA about-faced on its prior plans to postpone the vote until after the new year.As recently as Monday PA foreign minister Riyad Al-Maliki had indicated that the vote would be postponed until after the new year, after the vote was put off last Friday and again on Monday.iplomatic sources had claimed the resolution would flop due to a lack of support by the council's 15 members. But according to Channel Two, France and Luxembourg have now decided to vote for the resolution, tipping the balance in the PA's favor.If true it would force the US - which has stated its firm opposition to such unilateral measures - to use its veto at the Security council. That move could provoke tensions with some of America's Arab allies in the UN.Earlier Tuesday, US State Department spokesperson Jeff Rathke reiterated the US's opposition to the PA bid, noting "there are a number of countries that have indicated they cannot support this resolution. ""Even among countries that are longstanding supporters of the Palestinians and that have indicated they would vote in favor of the resolution, many of them have also acknowledged that it is an unconstructive and poorly-timed resolution," added Rathke.Britain's UN Ambassador Mark Lyall Grant also voiced his country's disapproval of the proposed resolution, telling reporters the UK would notsupport it - but not indicating whether that meant it would use its UNSC veto or simply abstain. "There's some difficulties with the text, particularly language on time scales, new language on refugees. So I think we would have some difficulties," he told reporters.Canadian Foreign Minister John Baird - whose country is not a UNSC member - called on the council's member-states to reject the proposal, accusing the PA of attempting to "circumvent negotiations. ""Canada fundamentally believes that Palestinian statehood can only be a by-product of negotiations with the State of Israel. We have long rejected unilateral action on either side, as we believe it is ultimately unhelpful to the cause of peace," Bard said in a statement Tuesday. "The resolution that was submitted to the United Nations Security Council on December 29 is just another attempt to circumvent negotiations and place preconditions on future discussions," he added. "Canada therefore calls upon members of the UN Security Council to reject this resolution and instead use its influence to urge both sides to sit down without preconditions. ""For far too long, Israelis and Palestinians have been at odds. It is time for serious negotiations and concessions from both sides to ensure a future of peace, security and prosperity." Canadian Foreign Minister John Baird has joined calls urging the United Nations Security Council to vote down a resolution drafted by the Palestinian Authority calling for an imposed solution on the Arab-Israeli conflict.The UN Security Council will vote later Tuesday on a draft resolution submitted by Jordan on behalf of the PA, demanding recognition as a state and Israeli withdrawals from Judea, Samaria and "East Jerusalem".It is almost certain to be rejected, as both the US and Britain have voiced their opposition to it already.Diplomats said it was unlikely that the resolution - which will be voted on at 10 p.m. GMT - would garner the nine votes necessary for adoption - a scenario that would allow the United States to avoid resorting to its veto power.A US veto risks angering key Arab allies, including partners in the US-led coalition carrying out air strikes against the Islamic State group in Syria and Iraq. "Canada fundamentally believes that Palestinian statehood can only be a by-product of negotiations with the State of Israel. We have long rejected unilateral action on either side, as we believe it is ultimately unhelpful to the cause of peace," Bard said in a statement Tuesday. "The resolution that was submitted to the United Nations Security Council on December 29 is just another attempt to circumvent negotiations and place preconditions on future discussions," he added. "Canada therefore calls upon members of the UN Security Council to reject this resolution and instead use its influence to urge both sides to sit down without preconditions. ""For far too long, Israelis and Palestinians have been at odds. It is time for serious negotiations and concessions from both sides to ensure a future of peace, security and prosperity. "By turning to the UN for unilateral recognition, the PA is effectively in breach of several accords it has signed with Israel in the past.Earlier Tuesday, US State Department spokesperson Jeff Rathke reiterated the US's opposition to the PA bid, noting "there are a number of countries that have indicated they cannot support this resolution. ""Even among countries that are longstanding supporters of the Palestinians and that have indicated they would vote in favor of the resolution, many of them have also acknowledged that it is an unconstructive and poorly-timed resolution," added Rathke.Britain's UN Ambassador Mark Lyall Grant also voiced his country's disapproval of the proposed resolution, telling reporters the UK would not support it - but not indicating whether that meant it would use its UNSC veto or simply abstain. "There's some difficulties with the text, particularly language on time scales, new language on refugees. So I think we would have some difficulties," he told reporters.The Tuesday vote comes as something of a surprise after PA foreign minister Riyad Al-Maliki indicated on Monday that the vote would be postponed until after the new year, after the vote was put off last Friday and again on Monday.But on Monday, PA envoys drafted a more toughly-worded version of the resolution after meeting Arab ambassadors at UN headquarters for about two hours.The updated text contains new provisions on declaring eastern Jerusalem the capital of a Palestinian state, settling the issue of terrorist prisoner releases and halting Jewish construction in Judea, Samaria and eastern Jerusalem.The resolution demands UN recognition of the PA as the "state of Palestine," as well as Israeli withdrawals from eastern Jerusalem, Judea and Samaria by 2017, and prior to that a 12-month deadline for wrapping up negotiations on a final settlement.Russia has said it will support the resolution. Despite Rathke's statements, US Secretary of State John Kerry has not publicly stated that Washington would use its veto against the resolution. However, Kerry's spokeswoman did day the United States will not support the resolution. Hamas again criticized the political process of the Palestinian Authority (PA), the center of which is a draft resolution calls for Israel to “end the occupation” - that is, to withdraw from Judea and Samaria - by 2017.Mushir al-Masri, a spokesman for the Change and Reform Party in Hamas and a Hamas leader, called the resolution a "threat" to the "Palestinian problem" and the continuing series of concessions fly a "white flag. "Masri accused the Palestinian Authority of "giving in" to Israel and walking through pointless negotiations of a political settlement, without a clear national strategy and adherence to the basic principles of the Palestinian people, in his words.The draft resolution, said Masri, is inconsistent with the underlying positions of the Palestinian people, and those (a hint to the PA) who seek to make decisions separately and independently of the Palestinian people cannot be in a leadership position and must be brought to justice, he said.The resolution has already been criticized by Hamas, whose spokesman said last week the resolution "doesn't represent [the] consensus of the Palestinian people. "Several days ago Hamas leader Mahmoud al-Zahar added that the draft resolution in favor of Palestinian statehood was "disastrous," and that it has "no future in the land of Palestine. "Zahar explained that Hamas would not accept the resolution because of its focus on the pre-1967 borders, and not on all of Israeli territory which Hamas considers to be “historic Palestine”.He further added that the movement refuses to consider allowing to be Jerusalem a capital for both Palestinian and Israeli states.Tensions between the PA and Hamas are also apparent in light of the visit of Palestinian Authority "Prime Minister" Rami Hamdallah to Gaza, along with a delegation of ministers. Analysts say Hamdallah's visit is to demonstrate the alleged control of the PA government offices in Gaza, and to ensure that border crossings are transferred to unity government control.Hamas spokesman Sami Abu Zuhri criticized Hamdallah over the move, noting that the PA has no power to dismiss the workers at the border for operation under its control. The dispute between the parties is concerned solely with the continued payment of salaries to tens of thousands of civil servants appointed by the Hamas government. Judged through a rational, empirical - and European - lens, Israel should have already been obliterated. Israel is the world's only country which in the last six months has experienced 50 days of war under daily rocket attacks, the kidnapping and killing of three students, the slaughtering of four rabbis, the attempted assassination of its social activists, the daily stabbing and Molotov cocktail attacks in its cities and on its roads. The Israelis do not fear the danger and have fun.Israel's is the world's only country whose water devices are removed from Western buildings. The Harvard University dining services just removed the labels from its SodaStream machines and replaced them with American-made water machines. Israel is the world's only country that has so few friends and so many more enemies, so many people who would shout "eureka!" if Israel would disappear .Israel is the world's only country which can be destroyed in one day of war: a small battery of nuclear-tipped rockets can vanish it entirely.Israel is the world's only country without recognized borders.Israel is the world's only country which hasn't seen one day of peace since its founding. Israel is the world's only country which has 1,000 kilometers of besieged and ghettoized borders.Israel is the world's only country which looks perilous and temporary, a dot on the map and a patch of near-desert.Israel is the world's only country which withdrew from territory won in defensive wars.Israel is the world's only country which has to free hundreds of assassins to see again one of her soldiers.Israel is the world's only country whose books, professors, writers and scientists are banned, boycotted and expelled from Western universities and libraries.The country is open to offensives, with long and absurd borders; it lives in a state of siege, surrounded by dangerous enemies. The Israelis do not fear the danger and have fun. The philharmonic orchestra plays on a kibbutz along the Jordanian-Syrian border, while in Jerusalem they held competitions for young filmmakers.A French journalist called the Israelis a people that does not smile. Perhaps. Perhaps influenced by a long history of Jewish persecution, distant and recent, of collective and personal tragedies that are the very foundation of this nation of refugees. Israel is not, probably, a cheerful country as a whole; but surrounded by enemies, the Israelis demonstrate with facts that smack of not being afraid of the future.The Israeli Jews are engaged in long-term programs; they build for future generations a modern, highly industrialized country, one that is therefore more vulnerable. With the ratio of forces so disproportionate, the fact that the State of Israel continues to exist is a contradiction, or if you prefer, a permanent miracle. Israel is squeezed between the sea and five hostile nations, eighty times larger and twenty times more populated. The birth, survival and achievements of Israel are in itself a great victory. Israel is a state built from nothing and built, defended, developed against obstacles that the reason judged insurmountable.And Israel, the only democratic nation born from a religious idea, promoted as a refuge for the persecuted, will remain one of the most exciting human adventures.So despite all, Israel will not fall. Following the first exile in 586 B.C. and the second exile in 70 A.D. and 132 A.D., Jews spread throughout Mesopotamia and the Mediterranean Basin, northern and eastern Europe, even unto India and China.The Holocaust closed that noble Jewish adventure in the Diaspora.In the last century, Jews began returning to their land and rebuilt the third Jewish commonwealth. This will not fall. It cannot fall. It must not fall. Jews wouldn't survive to another exile. And a world without Jews would be a meaningless world.The people of Israel will live. The Land of Israel will thrive. Israel is here to stay. TENTIONS STILL HIGH AMOUNG POLICE AND NYC MAYOR DEBLAISIO.